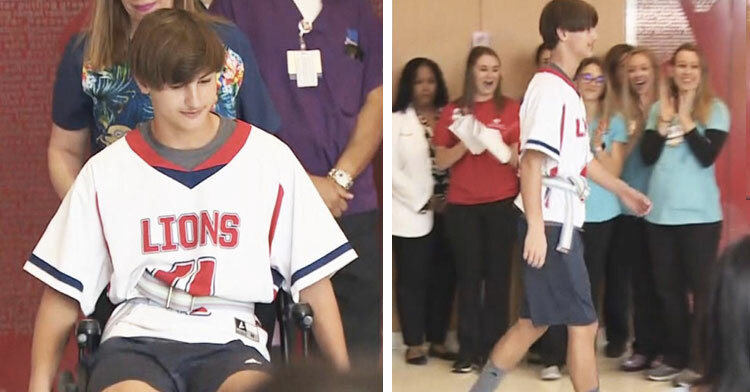 Teen Paralyzed At Lacrosse Game Shocks Doctors When He Takes 1st Steps. Life is filled with exhilarating highs and devastating lows. Every so often we get to experience a reversal of fortune so incredible that it can’t help but leave us breathless with inspiration. 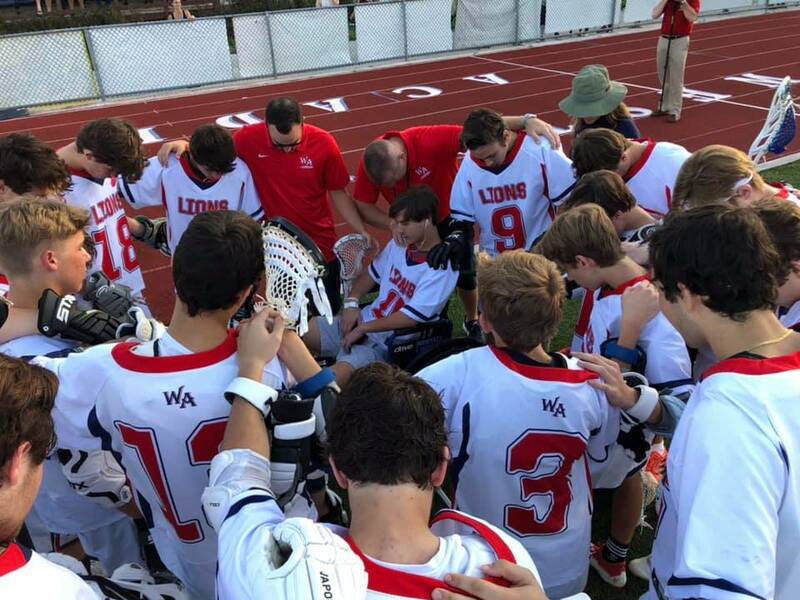 In early March, sixteen-year-old Westminster Academy student Chase Lalonde stepped onto the lacrosse field for a game in Immokalee, Florida. One of the team captains, Chase was ready to give the game his all as his team faced off and play began. But five minutes into the game, Chase was hit in the back of his skull by a flying ball and he crumpled to the ground, his body limp. As the teen lay immobile on the turf, his coach ran to kneel beside him. When he heard what Chase had to say his blood ran cold. “Coach, I can’t move,” said the star player. Looking back at that horrible moment, Chase says that he knew instantly that he was paralyzed. “I stood and just fell straight back and lost all feeling, I was just, ‘Crap, I’m done,’ in the back of my mind I’m just, ‘Yep this is it, I’m paralyzed,'” he described. 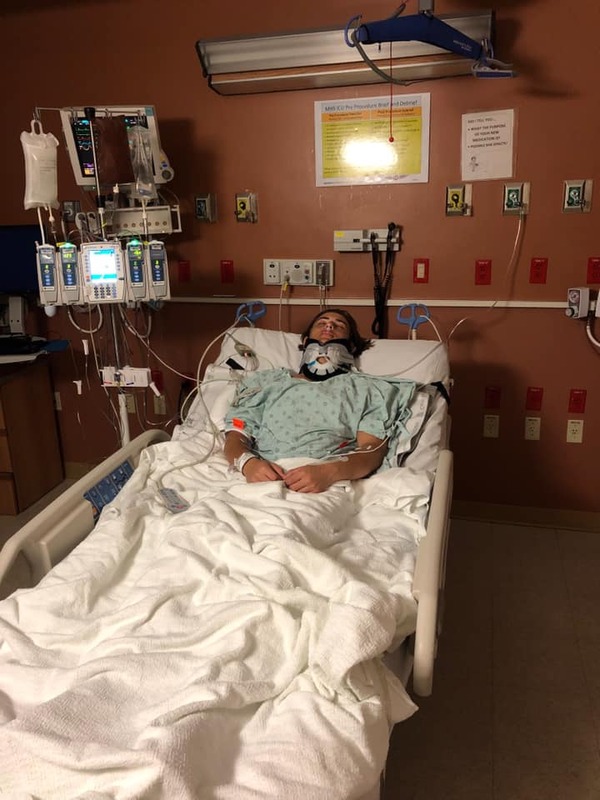 Chase was air lifted to Memorial Regional Hospital where he immediately underwent surgery for his traumatic spinal injury. The ball had managed to hit him in between his helmet and shoulder pads, injuring the C3 and C4 sections of his spine and leaving him with “incomplete quadriplegia.” While he was still able to move his fingers after the injury, but everything below the chest was numb. 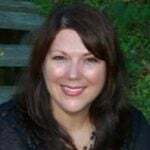 “There are very few phone calls that we get in the trauma world that make us more concerned than something about a brain injury or a spinal cord injury,” said Dr. Andrew Rosenthal of Memorial Regional Hospital at a press conference. 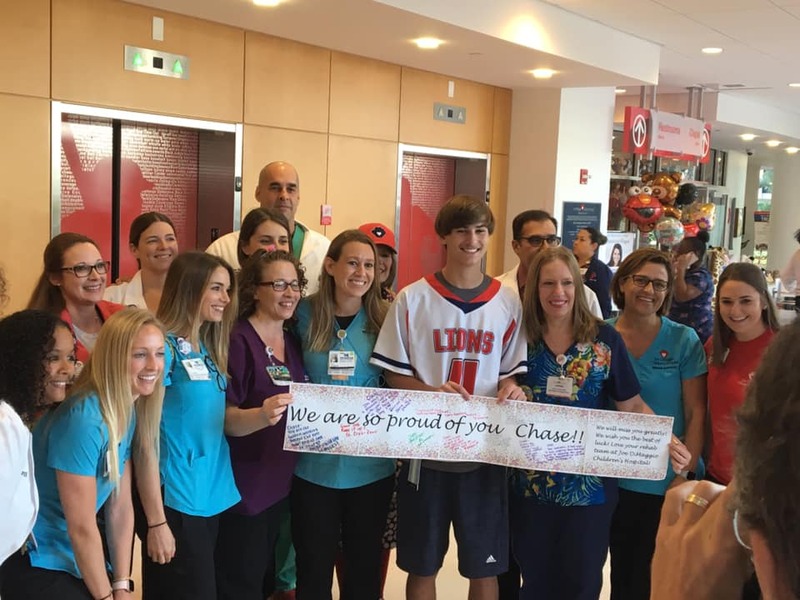 After surgery Chase was moved to Joe DiMaggio Children’s Hospital for rehabilitation. 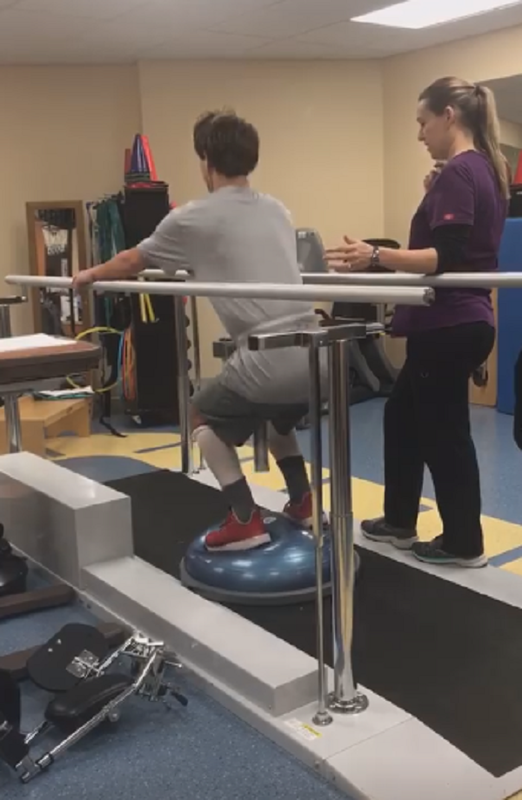 Doctors feared that Chase’s condition would be permanent and he’d spend the rest of his life in a wheelchair, but after just three weeks of intensive therapy Chase defied all odds and walked out of the hospital unassisted. Chase’s recovery was hard-won. He spent hours each day working with the physical therapists and other mobility specialists, and he was blessed with an incredibly supportive family and community. As he started making improvements he was even able to have a home visit, a chance to get out of the hospital and eat at his favorite restaurant. 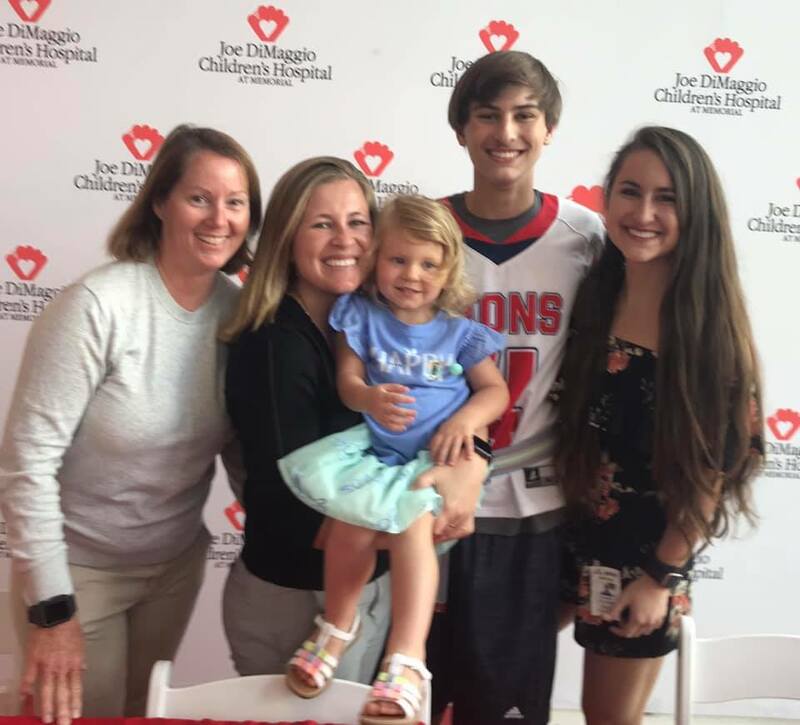 He was especially eager to attend one of his team’s lacrosse games, an emotional moment that ended with a win, both on the field and off. On the day Chase left the hospital the media had gathered for a planned press conference, and dozens of people filled the hospital lobby for the moment that Chase would take his first steps. 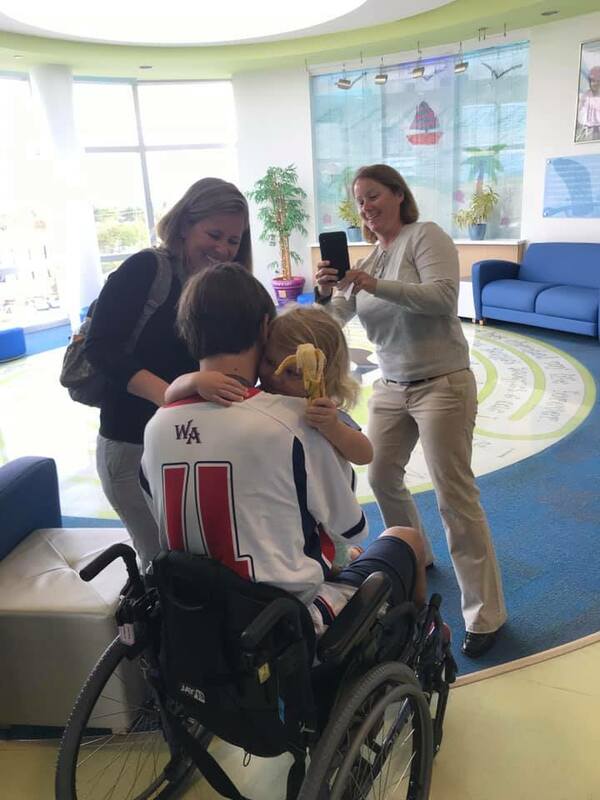 Incredibly, he barely appears shaky as he stepped out of the wheelchair and walked to the front of the room to shake the hands of the doctors who’d saved him. Doctors say this is result is beyond their expectations and is the best they could ever hope for. We have to think it must make their work so worthwhile to see a young man like Chase walking again against all odds! 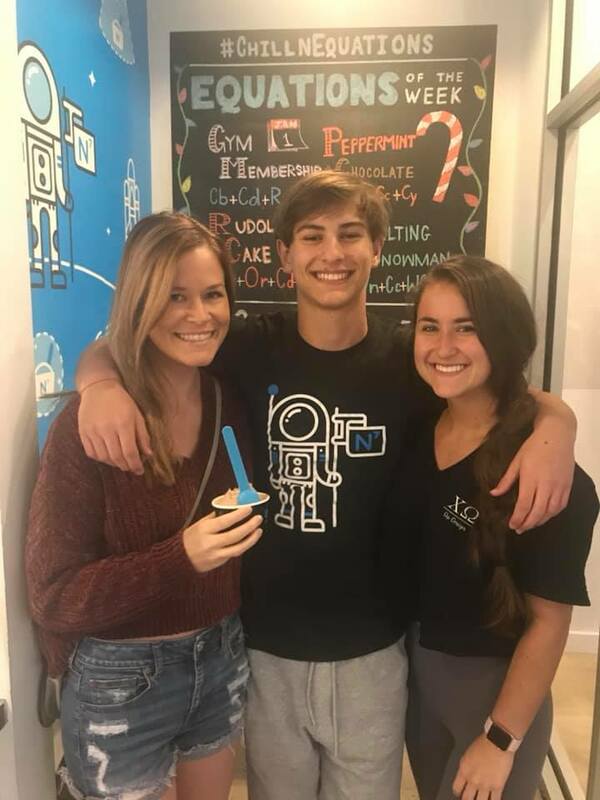 As for what comes next, Chase hopes to attend college at Florida State University, and yes… he wants to play lacrosse again, too. We’d say he’s earned a good rest! It’s so thrilling to see Chase walking after facing such an uncertain future. His recovery is a testament not just to the excellent medical care he received but also to the power of the human spirit to persevere against all hardships. 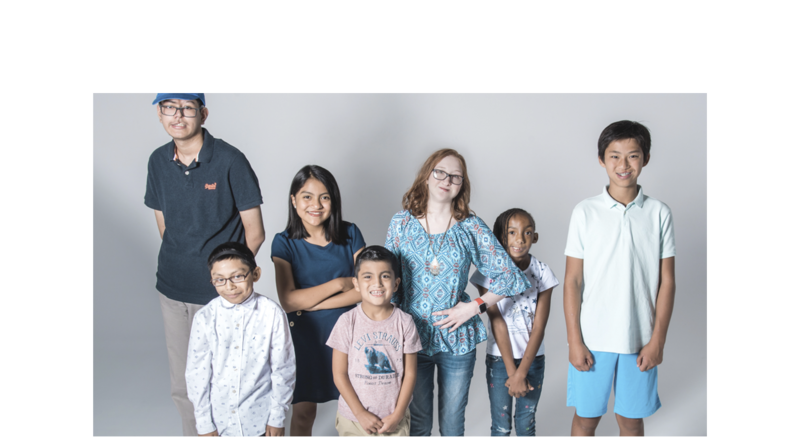 Watch Chase walking in the video below, and be sure to share this story to send your best wishes to Chase!